The history of Sigma Pi Fraternity (ΣΠ) at Monmouth University starts way back in 1956 when 12 men who had the same interests joined together for meals and social activities. In 1958, this group organized into a local fraternity named Alpha Theta Chi (ΑΘΧ), which was formally accepted by the college one year later and officially founded on April 6, 1959. ΑΘΧ existed on then-Monmouth College's campus for ten years until the decision was made to join a national fraternity. During those ten years, ΑΘΧ became a tightly-knit group of brothers who enjoyed competing against opposing fraternities with their Chi Dogs touch-football team. The brothers also enjoyed the mentoring that they received under their Faculty Advisor Mr. Lauren K. Woods. Other accomplishments of ΑΘΧ included sponsoring the Homecoming Queen Contestants each year as well as winning the float-building contest on a seemingly annual basis. The chapter also served their community by bringing gifts to children in local hospitals each year during Christmas. To show their school spirit, the ΑΘΧ brothers were always the loudest group of spectators at Monmouth Hawk basketball games, then-held in Asbury Park's Convention Hall. It was easy to be the loudest group of students at the games because the ΑΘΧ brought horns and drums with them! In addition, the brothers enjoyed attending the games because the chapter had several members who were on the college's varisty basketball team. The chapter was also familiar with Convention Hall because they also operated two rock 'n' roll shows at the venue in April 1965; both shows sold out. Shortly after the chapter's tremendous successes during the mid-1960s, the decision was made to join a larger, national fraternity. After some research, the men of ΑΘΧ decided that they wanted to join ΣΠ Fraternity. After electing to make this change, ΣΠ Fraternity colonized the ΑΘΧ group in 1966. The probationary colonization period was completed on March 22, 1969 - the date that ΑΘΧ became the Delta-Beta (ΔΒ) Chapter of ΣΠ Fraternity. Unfortunately, the ΔΒ Chapter did not stay in existence for too much longer after becoming a recognized part of ΣΠ Fraternity. On November 12, 1974 there was a terrible accident where William Flowers, Jr. - a pledge of Zeta Beta Tau Fraternity at Monmouth College - died during a hazing event on the beach in Long Branch, New Jersey. Flowers' death made national headlines including the front page of the New York Daily News. In the wake of this tragedy, the President of Monmouth College Richard Stonesifer - a ΣΠ Fraternity brother from the Nu Chapter at Franklin & Marshall College - asked all of the campus Greek organizations to voluntarily surrender their charters for a short period of time. Out of respect for the President of the college being a brother of ΣΠ Fraternity, the ΔΒ Chapter surrendered its charter. It was the only fraternity to voluntarily do so, though the chapter of Zeta Beta Tau Fraternity was also closed by order of its national headquarters. 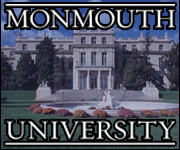 The ΔΒ Chapter would not have a presence on Monmouth's campus for the next 15 years. In 1989, a group of young men who were not satisfied with the existing options for fraternity life visited with Dr. Joseph B. Mosca in the Business School. The students asked Dr. Mosca about the possibility of starting a new fraternity. At that time, Dr. Mosca had a copy of ΣΠ Fraternity's national magazine, The Emerald, available and suggested to the students that bringing back the ΔΒ Chapter might be worthwhile. The students agreed and petitioned the executive office of the Fraternity to be recognized as the ΔΒ Colony of ΣΠ Fraternity. On May 2, 1989, the executive office agreed to officially recolonize at the campus and the return of ΣΠ Fraternity at Monmouth College had officially begun. Over the next two years, the ΔΒ Colony grew and prospered through active campus participation. After working through the expansion process, the ΔΒ Colony was accepted as a member of the Greek community in Spring 1991 and the official rechartering of the ΔΒ Chapter took place on May 2, 1991. After its rechartering, the ΔΒ Chapter worked hard to grow the group and establish strong programs. Programs implemented by the chapter included an annual Talent Show to raise philanthropic funds and an annual Halloween Watch in the Elberon area of Long Branch in partnership with the sisters of Theta Phi Alpha Sorority. The Halloween Watch lasted more than 15 years and represented one of the many facets of the robust community service program developed by the ΔΒ Chapter. Another annual event with more than 20 years of history is the chapter's blood drive which first benefitted the Jersey Shore Chapter of the American Red Cross and now benefits the Central Jersey Blood Bank. Additional charitable activities include working with the Long Branch VFW Post #2140, Habitat for Humanity, the Jersey Shore Dream Center, the Monmouth County SPCA, and the Long Branch PBA - among many others. In 2014, the ΔΒ Chapter celebrated 55 years since the official founding of ΑΘΧ, 45 years of being recognized as a part of ΣΠ Fraternity, and 25 years since being rechartered. The chapter has enjoyed a tremendous level of success and received several significant accolades over the years including being named the #1 Chapter of ΣΠ Fraternity in 2006. ΣΠ Fraternity's mission statement is to advance man�s quest for excellence. The fraternity's vision statement is that our men will strive for excellence by living our core values. These core values are to promote fellowship, to develop character and leadership, to advance heightened moral awareness, to enable academic achievement, and to inspire service. Members of the fraternity are men of kindred minds - men united in brotherhood. They are men committed to scholarship because an educated mind can make a real impact in the world. Kindred minds are conscious of civic, national, and international responsibilities. They are leaders and team players - both respectful and worthy of respect. ΣΠ Fraternity is an international fraternity with over 100,000 members striving to help men reach their full potential. The proof is in our alumni, who are among our nation's leaders in business, government, education, journalism, athletics, and entertainment. Membership in the fraternity is life long; it is an experience marked by friendship, leadership, citizenship, and distinction. As a college fraternity, we strive to bring out the best in each of our members and expect each member to be his best. For more information on ΣΠ Fraternity, please visit SigmaPi.org.